Helen Rockey is a great example of a CEO who knows the power of using short words in simple sentences. It might have helped that she got her start at Nike, which has one of the best tag lines ever: Just do it. She probably picked up a nugget or two from her dad, Northwest PR icon Jay Rockey. But Nike and her childhood were a long time ago for the former CEO at Brooks Sports and other apparel companies. The lessons, though, clearly stuck with her. “Nike was where I really learned that telling a story is the best way to keep people interested so you can get your point across,” Rockey said in a recent interview for this blog. Rockey is now the CEO of See Kai Run, a Woodinville-based footwear company for babies and small children. In 2004, she was co-founder and CEO of wildBleu, a niche apparel company aimed at menopausal women. WildBLEU was profitable in its first year, enjoyed rapid growth and never lost money. She directed the sale of the company to a private investor in 2010. Like so many other successful leaders, Rockey writes for the ear, whether it’s a speech or an important memo to staff. 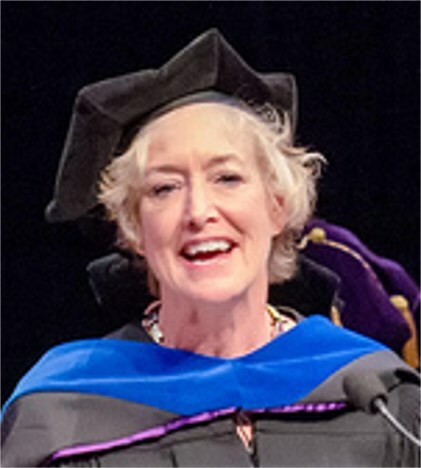 She shared the text of a speech she gave in 2012 to the graduates of the Foster School of Business at the University of Washington. 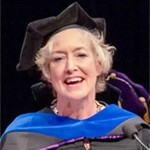 A alum of the graduate program herself, the speech received a great response. And with good reason. She used simple language and told some good stories. Professor Flesch would have been proud of her word choices and simple sentence structure. The speech she gave that day scored a 75.5 on the Flesch scale. Great speeches rarely fall below 60 on the Flesch scale. One line is Rockey’s speech truly jumped out at me: “And when someone asks ‘What do you make’ I wish you to answer ‘I make a difference.’” It was what her speech was all about. If you run it through the Clarity Tool, you’ll see that it gets a 94.3 Flesch score. Wow! Every time you write something, try to have a line like that in it. It will anchor you in your audience’s mind as a clear thinker. Of course, you will know it is because you are a clear writer.